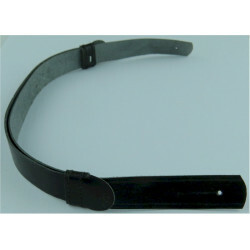 Genuine regimental Staybrite Army cap badges for sale. Alternative spellings Sta-Brite or Staybright, we abbreviate Anodised Aluminium to A/A on our lists. Anodising is an electro-plating process resulting in lightweight shiny badge. The main colours used are gold, silver and black. Staybrite replaced brass and white metal as the main metal for British Other Ranks' military insignia from about 1950 onwards, although some regiments had sufficient stocks of the old metal cap badges and did not convert to Staybrite cap badges until many years later. Given that King George VI died in 1952, it stands to reason that King's Crown Staybrite insignia is quite rare (We abbreviate King's Crown to KC on our catalogues). 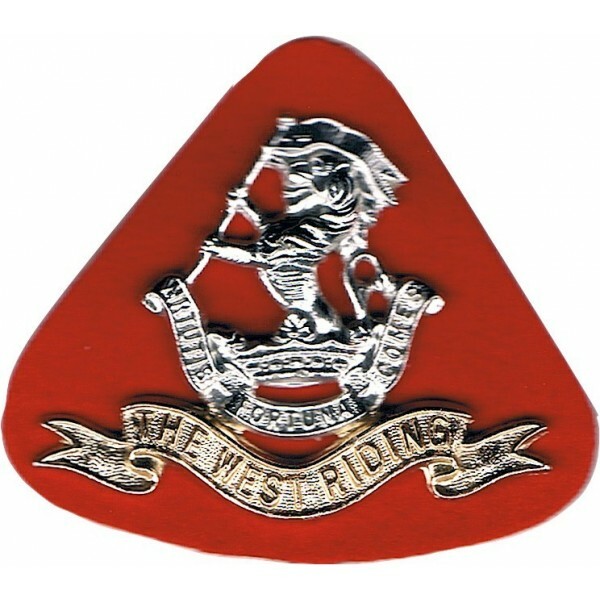 This section of our website deals specifically with Staybrite (Anodised Aluminium) cap badges. 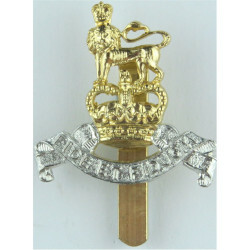 Staybrite Army Cap Badges There are 184 different items.